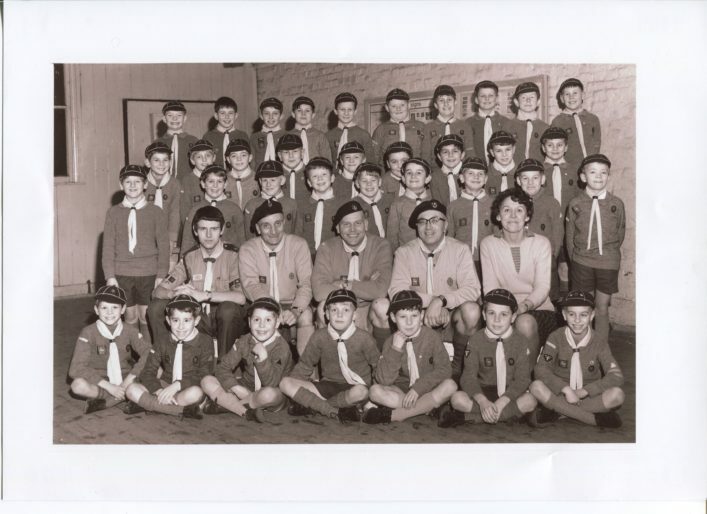 This picture was taken in 1965 on the night I was invested as a member of the cub pack. In the middle is Akela, Vic Crace, on his left Cyril Deering (District Commissioner) on the right Ron Lee and next to him Mrs Marshall. I am centre of the front row aged 8. This page was added on 13/02/2019.